At MacStadium, we obviously have more than a vested interest in Apple’s results. After all, their continued success is part of our business model. And good for us, their latest numbers show not only the first trillion-dollar valuation of a company ever, but also that the booming application economy is increasingly powered by Apple. So far in 2018, the App Store has generated nearly twice the revenue of Google Play. Even more telling, Apple remarkably sold over 41.3 million iPhones this last quarter, including double-digit unit growth in several markets including the U.S., Canada, Germany, Switzerland, Mexico, Hong Kong, Russia, the Middle East, and Africa. Apparently the rumors of “peak iPhone” were greatly exaggerated. Simply put, more iPhones means more apps, which in turn means a greater need for the iOS and macOS CI efforts necessary to create them. There was plenty of other good news to keep us both excited and interested in what’s to come (even more so than a partnership with Oprah, yes). Apple continues to make investments and great strides in supporting its enterprise customers. Financial services companies are increasingly relying on iPads to gather digital signatures for customer consent, compliance requirements, new account openings, and all forms of services transactions. A broad range of organizations is settling on iPhones as their standard mobile device for employees around the world. And enterprises including Salesforce and Capital One are deploying Macs based on employee preference and loyalty (and we assume security and functionality, too). The deepening of the Apple ecosystem into enterprise environments also means the same thing an increase in the number of iPhones does – more (and more robust) apps, with a corresponding rise in CI testing requirements and targets. 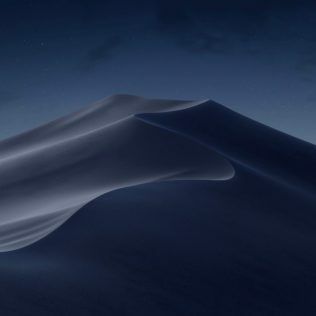 Other Apple points of focus include the vast improvements coming to macOS Mojave next year. Along with new privacy and data protection mechanisms that will help enterprises maintain compliance, Apple is working on making it much easier to bring iOS apps to Macs. Developers are already chomping at the bit to create new modes of enterprise level functionality. Apple has slowly but steadily cracked the corporate door open, and now appears poised to open it completely. When delivered, macOS Mojave is only going to increase Apple’s viability as a business solution provider. Even where Apple seemed to miss, there are extenuating indicators the future is bright. For one, Mac sales were down 13% year over year. While not a small drop, the length of time since the last upgrade means many current Macs are outdated and approaching obsolescence. What’s unsaid is that both corporations and consumers are understandably hesitant to purchase a system that will soon be surpassed by a new model. There’s a huge pent up demand for new more powerful Macs that simply can’t be captured by a drop in the sales of existing models. One reason an IaaS subscription model makes sense for a lot of organizations is this hesitancy to commit and the eventual deprecation of their existing equipment. If organizations are concerned about their Mac upgrade options, they can always leverage the vast inventory of MacStadium to start building now and add new hardware when it’s available. Ultimately, when taken in total, what Apple’s results and announcements reveal is that their long-term strategy continues to pay dividends, and that the same consumer ecosystem born of performance combined with loyalty is now firmly establishing a beachhead in corporate environments. As the professional world becomes increasingly dependent on iOS applications and the Mac hardware necessary to develop them, MacStadium is here to help iOS and macOS developers address their growing need for scalable CI development and testing environments on proprietary Apple hardware. And, we’re already looking towards the future. We’re currently testing macOS Mojave on baremetal Macs and private clouds (VMware 6.7 and Anka both.) We’re excited about the new functionality this is going to give developers and what it means for our enterprise customers, and we can’t wait to see what’s coming next. New Mac Pros? New i9 minis? Stay tuned!